August 13th is International Left Handers Day!!! I’m sending a special shout out to all my fellow lefties. Globally, roughly 12% of men and 10% of women are left-handed. Below are 10 Little Known Facts about Lefties that I’ve pulled from various sources… I may not agree with all of them, but I feel they are interesting. 1. Lefties Hear Speeches Differently – Lefties may more easily hear rapidly changing sounds than righties. 2. Lefties are better artists – According to research published in the American Journal of Psychology, there is some evidence that left-handed people have the upper hand in at least one creative facet — they’re better at divergent thinking, a method of idea generation that explores many possible solutions. 3. We vote for lefties – The lengthy list of left-handed leaders includes four of the last seven commanders in chief — President Obama, Bill Clinton, George H.W. Bush, and Gerald Ford — as well as past presidents James Garfield and Harry Truman. In fact, there’s a rumor that Ronald Regan was born a leftie, but stringent schoolteachers converted him to a righty when he was young. 4. 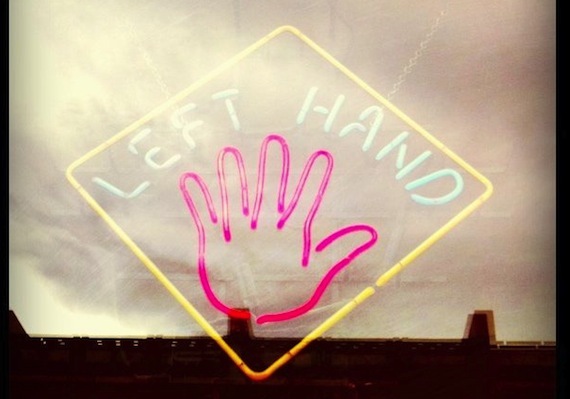 Lefties are great athletes – left-handers may have the advantage in sports that involve two opponents facing each other, such as tennis, boxing and baseball, according to the book “The Puzzle of Left-Handedness” by Rik Smits. 5. Lefties are scaredy cats… lefties tend to be more affected by fear than people who use their right hands, according to the British Psychology Society. 6. Lefties get angrier – According to a small study published in The Journal of Nervous and Mental Disease, lefties are more prone to having negative emotions. In addition, they seem to have a more difficult time processing their feelings. 7. Lefties are easily embarrassed – Left-handers in a study group more commonly agreed with statements like “I worry about making mistakes” and “Criticism or scolding hurts me quite a bit.” Their answers left researchers believing that lefties tend to feel more inhibited, shy and embarrassed than their right-handed counterparts. 8. Lefties like to drink – For years, myth has held that left-handers are more likely to become alcoholics. Research into the topic was murky, however, and only relied on small samples. But a recent survey of more than 25,000 people from 12 countries has cleared things up a bit — while lefties are not more prone to alcoholism, they do drink more often. 9. Lefties are SMART – Some studies suggest that lefties also tend to be overrepresented amongst geniuses. 20% of all MENSA members report being left-handed. 10. 4 of the 5 original designers of Mac were left-handed.